Faucets make many different types of noises from common water hammer to high-pitched squealing sounds. If your faucet squeals or hisses, it probably isn’t a pressure problem but a loose washer. 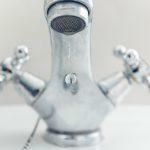 Leaking shower faucets are frustrating, but easy to fix if you know how. A simple repair takes only ten minutes and solves leaks in all types of modern shower faucets.